Yesterday we celebrated Adelyn's 3rd Birthday some and friends. 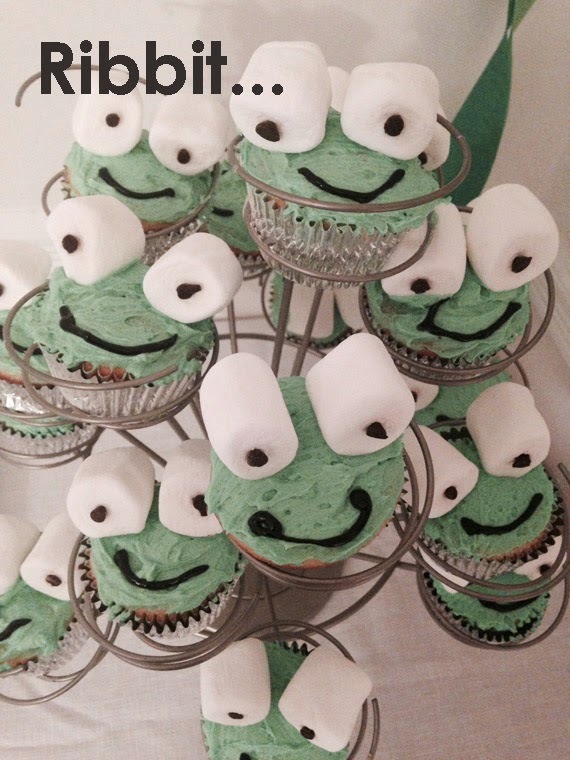 She picked a frog theme so I decorated the cupcakes to look like frogs. My kids like vanilla cupcakes with butter cream frosting. I used large marshmallows for the eyes and mini chocolate chips for the middle. I pushed them in and they stuck. I used gel icing to make the mouth.